The MS 250 is a mid-sized chain saw that will deliver great power to get through those bigger cutting jobs. 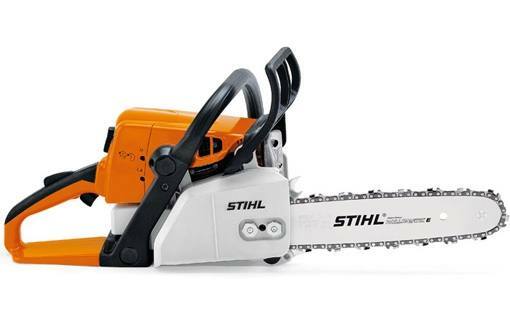 A combination of features such as the STIHL Quickstop inertia chain brake, Master Control Lever, anti-vibration system, carburetor preheat shutter for summer/winter operation, toolless fuel and oil caps with retainers, and a high power-to-weight ratio, makes this unit a great chain saw for home or small property owners. 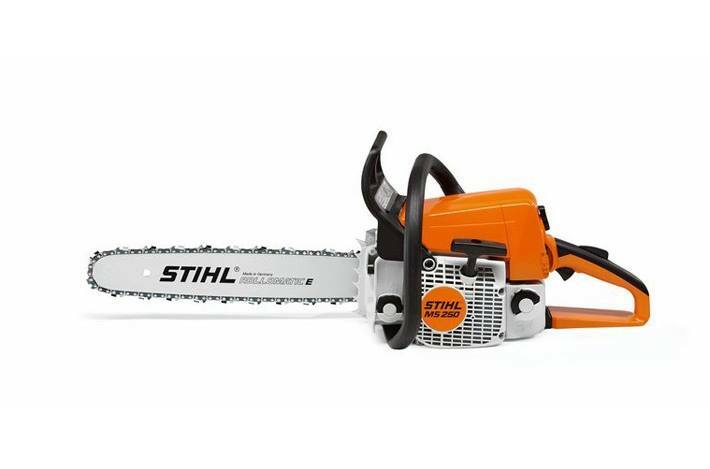 Quick Chain Adjuster (B): With STIHL Quick Chain Tensioning, it's easy to adjust the saw chain, without tools and without coming into contact with the sharp saw chain itself. Just release the sprocket cover and turn the adjusting wheel to set the optimum tension.